If you have received a Careless Driving, Stunt Driving, or other traffic ticket in Richmond Hill, and you now need to know your options for fighting the charges in court, then our experts on traffic ticket defence in Richmond Hill can help you. Whether it is a minor charge, or serious offense, a traffic charge can have negative implications on your insurance, driving record and life. To ensure you receive only the best possible outcome for your charge, please contact Ticket Defenders®* today for your Careless Driving Charge, Stunt Driving Charge, Speeding Ticket, or any other traffic offence. We are happy to offer you a free, no-obligation traffic ticket consultation in order to review your individual case, provide you with an honest assessment, and outline exactly how we can help. 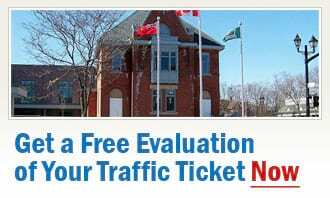 Ticket Defenders®* is your leading expert for all aspects of the Ontario Highway Traffic Act and CVOR in Ontario. Trained by a former court prosecutor, you won’t find a more qualified team of experts on traffic ticket defence in Richmond Hill. We are proud to always offer our clients top of the line defence for all traffic tickets in the Richmond Hill area, and the chance to save money and demerit points.